Adobe AIR which cannot be found. author for an updated version. 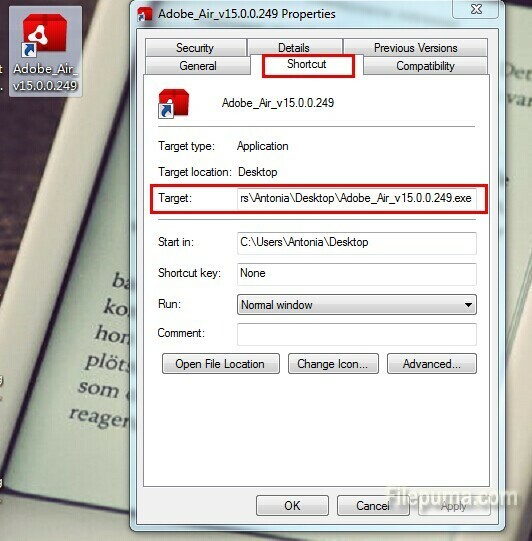 1) Create a shortcut of the Adobe AIR installer exe file. 2) Right-click the exe and choose properties, click on the “shortcut” tab. 3) In the “Target” field, add “-uninstall” (minus quotes) to the end of text. 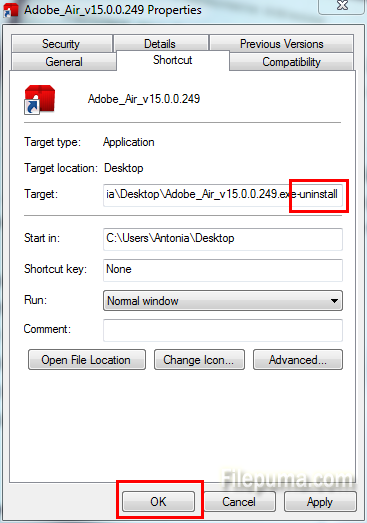 4) Run the file, and Adobe AIR will truly be uninstalled this time. 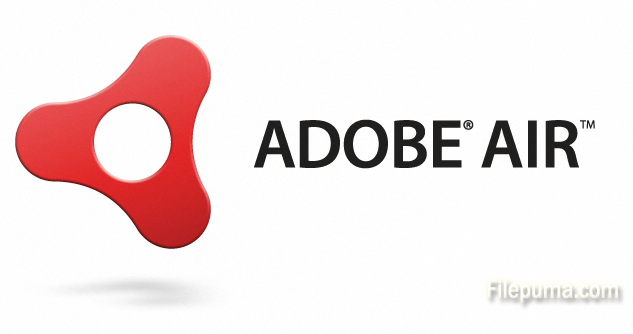 5) Now re-install Adobe AIR and your problem has been solved.